of injury. 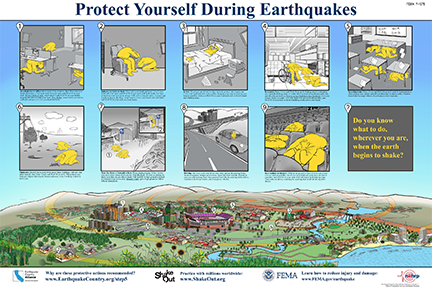 Everyone, everywhere, should learn and practice what to do during an earthquake, whether at home, work, school or traveling. 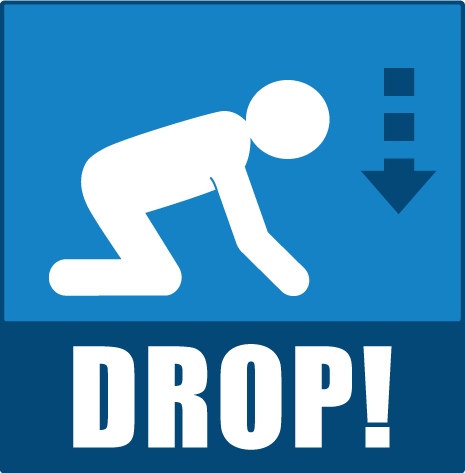 Why Drop, Cover, and Hold On? 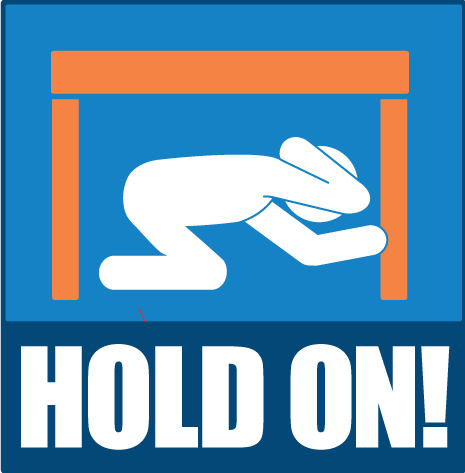 Our special report explains why official rescue teams, emergency preparedness experts, and others recommend “Drop, Cover, and Hold On” as the best way, in most situations, to protect yourself during earthquake shaking. In a classroom Drop, Cover, and Hold On. Laboratories or other settings may require special considerations to ensure safety. Students should also be taught what to do at home or other locations. Earthquake Safety Video Series: Simple videos demonstrating what to do to protect yourself in various situations (near a table, no table nearby, in a theater/auditorium, at the shore, and more to come). Animated GIFs: Click each to open larger version, or right-click (mac: command-click) to download and share via social media! Thoroughly review this information, consider what to do in your home or workplace, then practice. It is through actually practicing Drop, Cover, and Hold On that we build ‘muscle memory’ to help us respond correctly when the shaking starts. 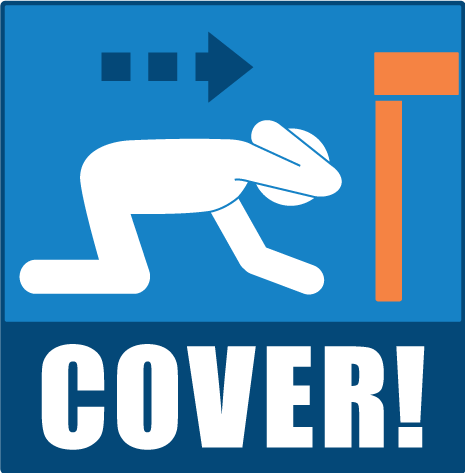 An excellent way to practice how to survive an earthquake is to participate in Great ShakeOut Earthquake Drills when you can rehearse quake-safe actions with millions of others. It takes 1 minute to practice and is free! Learn more at www.ShakeOut.org. Myth #5: Don’t be fooled! An enduring earthquake image of California is a collapsed adobe home with the door frame as the only standing part. From this came our belief that a doorway is the safest place to be during an earthquake. True- if you live in an old, unreinforced adobe house. In modern houses, doorways are no stronger than any other part of the house. You are safer under a table.